Abel Tasman Soul operating as Abel Tasman Kayaks is a New Zealand based company and was founded in 1986 with the focus of providing kayaking and kayaking related services in the Abel Tasman National Park and surrounds. 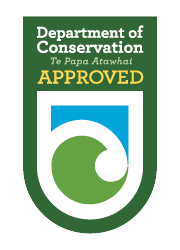 AGREEMENT BETWEEN YOU AND ABEL TASMAN KAYAKS. Use of this web site (the “Web Site”) is offered to you, the customer, conditional on your acceptance without modification of the terms, conditions, and notices contained below (the “Terms and Conditions”). Your use of this Web Site constitutes your agreement to all such Terms and Conditions and the offer of goods and services to you is conditioned upon your acceptance of such Terms and Conditions. This Web Site is for your personal and noncommercial use. The content and information on this Web Site (including, without limitation, price and availability of travel services), as well as the infrastructure used to provide such content and information, is proprietary to Abel Tasman Kayaks. Accordingly, as a condition of using this Web Site, you agree not to use this Web Site or its contents or information for any commercial or non-personal purpose (direct or indirect). While you may make limited copies of your travel itinerary (and related documents) for travel or services purchased through this Web Site, you agree not to modify, copy, distribute, transmit, display, perform, reproduce, publish, license, create derivative works from, transfer, or sell or re-sell any information, products, or services obtained from this Web Site. All rights not expressly granted herein are reserved. All contents of this Web Site are: © Abel Tasman Kayaks. All rights reserved. ABEL TASMAN KAYAKS MAY MAKE IMPROVEMENTS AND/OR CHANGES TO THIS WEB SITE AT ANY TIME. ALL SUCH INFORMATION, PRODUCTS, AND SERVICES ARE PROVIDED “AS IS” WITHOUT WARRANTY OF ANY KIND. IN NO EVENT SHALL ABEL TASMAN KAYAKS BE LIABLE FOR ANY DIRECT, INDIRECT, PUNITIVE, INCIDENTAL, SPECIAL, OR CONSEQUENTIAL DAMAGES ARISING OUT OF, OR IN ANY WAY CONNECTED WITH, THE USE OF THIS WEB SITE OR WITH THE DELAY OR INABILITY TO USE THIS WEB SITE, OR FOR ANY INFORMATION, PRODUCTS, AND SERVICES OBTAINED THROUGH THIS WEB SITE, OR OTHERWISE ARISING OUT OF THE USE OF THIS WEB SITE, WHETHER BASED ON CONTRACT, TORT, STRICT LIABILITY, OR OTHERWISE, EVEN IF ABEL TASMAN KAYAKS HAS BEEN ADVISED OF THE POSSIBILITY OF DAMAGES. Abel Tasman Kayaks and any other providers of products or services related to this Web Site are not responsible for communication failures, malfunctions or difficulties, or lost, stolen or misdirected, transmissions, messages or entries, or the security of any such communications. Further, Abel Tasman Kayaks and any other providers of products or services related to this Web Site are not responsible for incorrect or inaccurate entry information, whether caused by Web Site users or by any of the equipment or programming associated with the Web Site, or by any technical or human error that may occur in the processing of any information related to the Web Site. Abel Tasman Kayaks and any other providers of products or services related to this Web Site may cancel or modify reservations where it appears that a Web Site user has engaged in fraudulent or inappropriate activity or under other circumstances where it appears that the reservations contain or resulted from a mistake or error. You agree that neither Abel Tasman Kayaks nor any other providers of products or services related to this Web Site are responsible for any damages that may arise as a result of any travel or related arrangements or other orders you request or make on this Web Site that are not processed or accepted for any reason. This Web Site may contain hyper-links to Web Sites operated by parties other than Abel Tasman Kayaks. Such hyperlinks are provided for your reference only. Abel Tasman Kayaks does not control such Web Sites and is not responsible for their contents or your use of them. Abel Tasman Kayaks inclusion of hyper-links to such Web Sites does not imply any endorsement of the material on such Web Sites or any association with their operators. Abel Tasman Kayaks reserves the right to change the Terms and Conditions under which this Web Site is offered and you agree to accept and be bound by those Terms and Conditions that are in effect at the time of your use of Abel Tasman Kayaks Web Site and facilities. This Web Site, any information contained on it and these conditions of use shall be interpreted in accordance with, and governed by, the laws of New Zealand. The New Zealand courts shall have exclusive jurisdiction to hear any disputes concerning matters arising out of or relating to the use of this Web Site.